After his graduation at the prestigious University of Bocconi in Business Administration and a successfully completed Master of Science in International Management in 2008, Mr Leali joins Lefay Resorts as Marketing Director, in charge for the Corporate sales and marketing strategy and in 2011 he is appointed Managing Director of the company giving a top contribution to the new entrepreneurial project of the Leali Family in luxury and wellness first class tourism. Lefay Resort & SPA Lago di Garda is located in Gargnano, one of the most picturesque villages on the lake. The Resort, the first to be awarded the prestigious 5-star superior rating on Lake Garda, is situated inside an 11 hectares natural park in the heart of the spectacular and renowned “Riviera dei Limoni”, surrounded by gentle hills and natural terraces rich in olive trees and woods overlooking the lake. 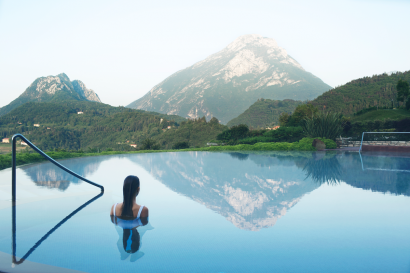 Lefay Resort & SPA Lago di Garda, the first jewel of the Lefay Resorts Collection and partner of the prestigious Small Luxury Hotels of the World, has been conceived according to the innovative Lefay concept of overall wellness, which embraces the entire holiday experience. A concept which can be found in the Resort’s Vital Mediterranean cuisine, in the wide indoor and outdoor spaces, in the beautiful surrounding nature and peaceful silence. 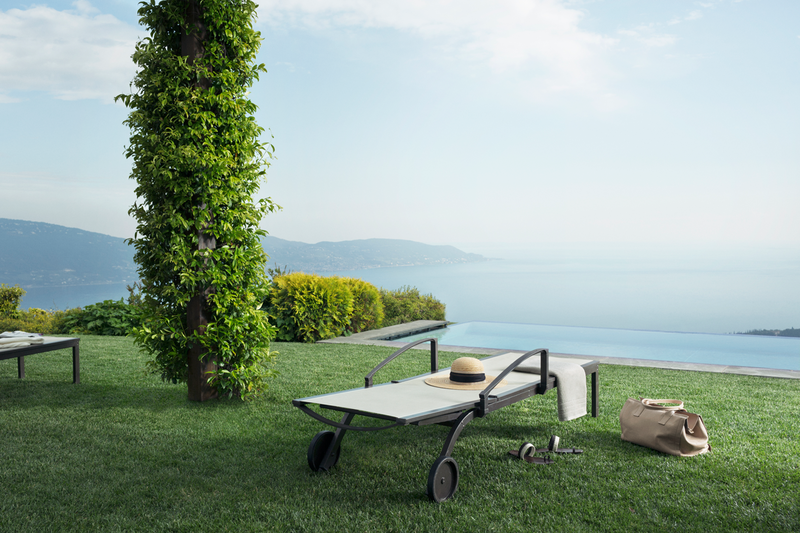 The Lefay Wellness concept is also very sensitive to the environment: everything, from the interior design to the use of local materials, to the architecture of the Resort was conceptualized and fashioned respecting the surrounding landscape and environment. 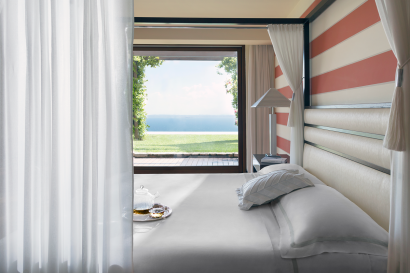 Welcome to the new Lefay Luxury, a different holiday for anyone willing to look beyond things, who still wishes to be surprised and who loves to get lost and then find themselves again. Sustainability complements the brand’s identity. This is a commitment that the Resort has made its own since the initial project, which was created and developed with total respect for the environment. Lefay Resort & SPA Lago di Garda is located on the Western shore of Lake Garda in the heart of the “Riviera dei Limoni”, whose splendid landscapes and air perfumed with the sweet fragrance of lemons have inspired beautiful verses from the great poets who stayed there, such as D. H. Lawrence and J.W.Goethe. The Resort sits among the hills of the historic town of Gargnano in the heart of the “Parco dell’Alto Garda” (Upper Garda Nature Park) and offers wonderful views over the largest and brightest lake in Italy: Lake Garda. The bright environment, mild climate, rich vegetation and splendid landscapes that create a backdrop to interesting historic monuments and numerous cultural and folklore events make Lake Garda a unique destination, which warmly welcomes visitors and all those who look for wellness holidays, sports, fun and good food. 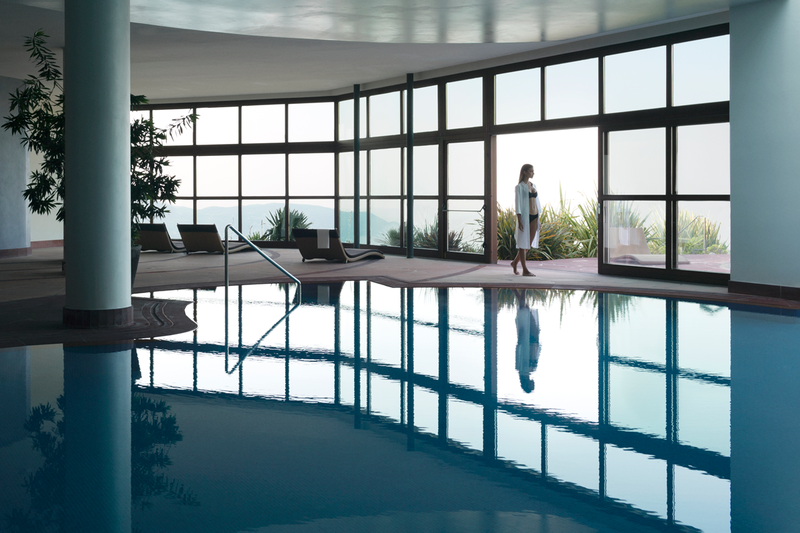 Lefay Resort & SPA does accept children as from any age but pls bear in mind that the Resort is not Family Oriented. The Resort offers a Mini Club where children are more than welcome to spend part of their time and it is organized a program with different activities every day. The property does not offer a children swimming pool, however we do allow them to enter the SPA pools in present of a parent. 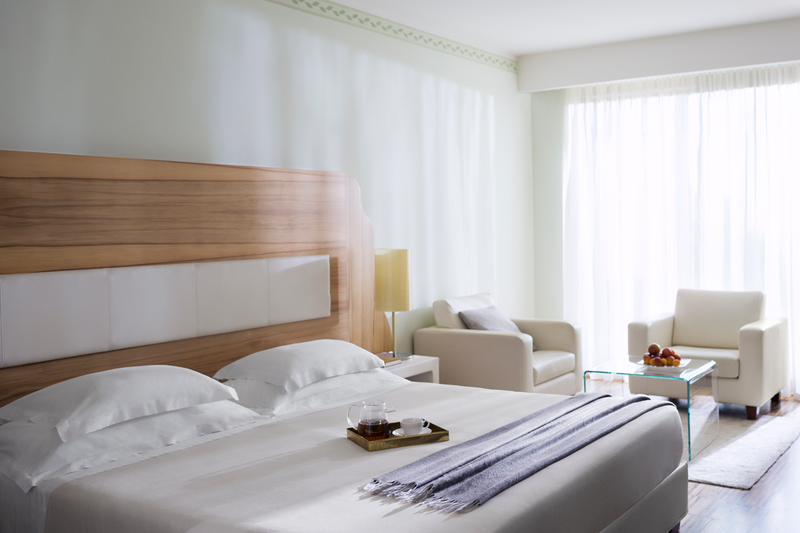 49 sqm : Bright and spacious, our Prestige Junior Suites are located on the ground floor whilst our Deluxe Junior Suites are on the first floor and all overlook Lake Garda. 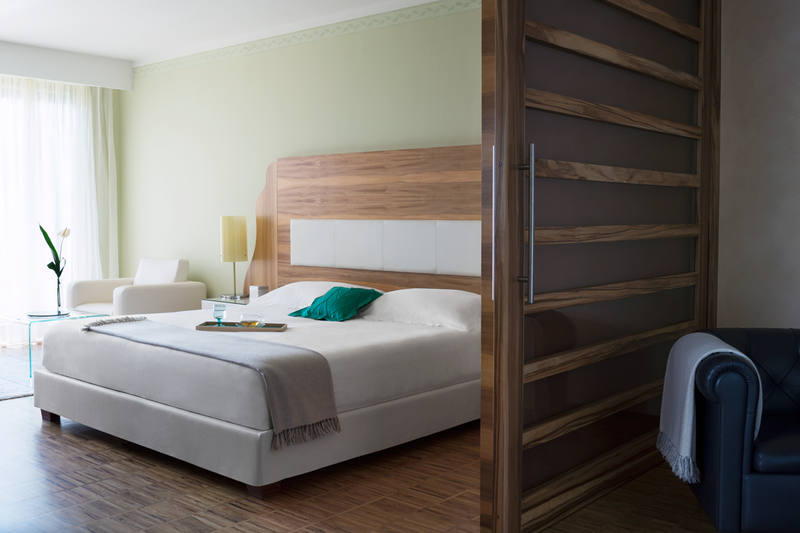 73 sqm : The Family Suite is the best solution to enjoy a holiday with your children or for those who need two bathrooms and two separate bedrooms within the same Suite. 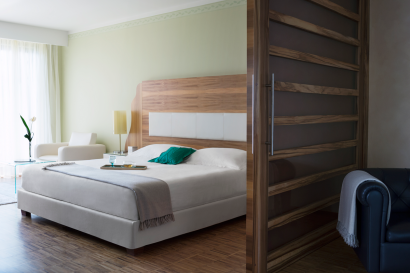 Suite with 2 separate double rooms, King or Twin size bed in the main bedroom, Twin beds in the second bedroom, wardrobe room. 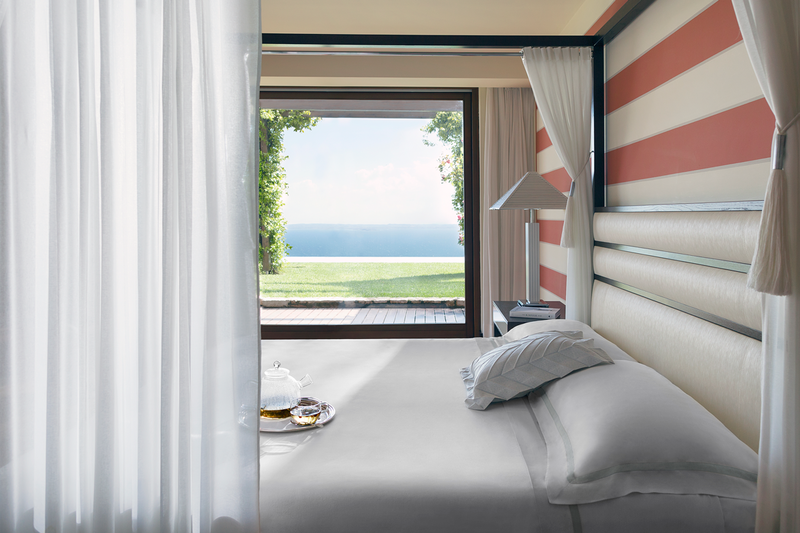 The Royal Pool & SPA Suite is the highest expression of the new Lefay concept of luxury, where peace, nature, space and wellbeing blend together in the unique and spectacular scenery of the natural park “Alto Garda”. The Royal Pool & SPA Suite overlooks a marvellous private garden and an amazing heated infinity pool and offers, in its top layout, up to three bedrooms, for a final total area of 600 sq.m. (6.460 sq. ft.). 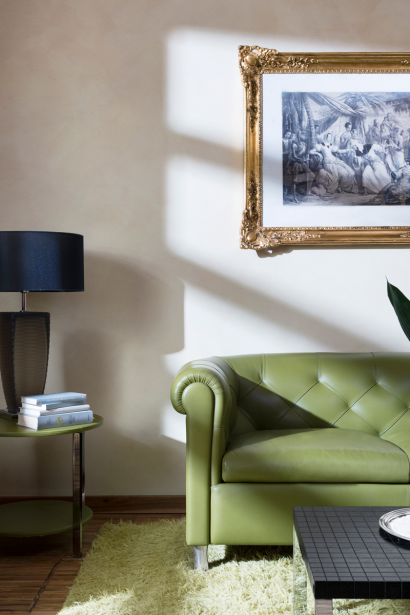 The selection of natural materials such as olive and national walnut wood and Italian marbles, the spacious interiors and exclusive services such as the Private SPA Area and the personalised concierge service turn the Royal Pool & SPA Suite into the most exclusive way to enjoy a stay around Lake Garda. Lefay Vital Gourmet is a culinary concept which pays particular attention to the health aspects of food, focussing on the Mediterranean diet in which extra virgin olive oil reigns supreme. The Executive Chef, Matteo Maenza, transfers this philosophy into the recipes of Mediterranean flavours proposed in the elegant restaurant La Grande Limonaia and the striking Trattoria La Vigna, where numerous dishes inspired by rich Italian regional traditions can be enjoyed. – Mediterranean diet, in which extra virgin olive oil reigns supreme. – Seasonality: the ingredients follow the rhythms of the seasons so that always the freshest produce is brought to the table. – Italian character: the menus use the finest food ingredients from the local area and typically traditional Italian regional produce. – Ethics: Lefay Vital Gourmet undertakes not to use animals threatened with extinction and products obtained by violent methods in its dishes. – Suppliers: favoured partners are local suppliers and preferably those that adopt a system of organic farming. It is situated on the upper floor of the Resort and offers a spectacular view of Lake Garda. A unique breakfast buffet is served and it is possible to enjoy delicious dinners in a scented lemon grove. The Restaurant offers a daily choice of the finest Mediterranean food and flavours. During the year, the menu varies according to the season and features recipes with fresh and local produce enhanced by the best Italian and international wines. The restaurant welcomes Guests at lunch and dinner in a cosy atmosphere which emphasizes the concept of the simple and homely typical eating establishment, the “Trattoria”, where the cult of age-old flavours lives on through recipes which have helped to write the magnificent history of Italian cuisine. During the cold season, the fire in the hearth rekindles the atmosphere, conjuring up memories of slowly cooked soups, spit-roasted meats and polenta; the summer offers romantic dinners on the splendid terrace overlooking the lake, which sparkles under the light of the moon and the stars. The SPA is the heart of the Resort: an exclusive temple to wellness, where mind and body are regenerated through rediscovery of genuine emotions and a sense of inner harmony. The 3.000 sq.m. SPA boasts swimming pools, saunas, treatment rooms and the surrounding park with specially designed trails dedicated to wellness and relaxation. World of Water and Fire — This area includes swimming pools (all heated): indoor and outdoor swimming salt-water pool, 25-metre outdoor swimming pool (open from April to October), Fonte Roccolino whirpool (open from April to October) and the salt-water lake La Luna nel Lago; five different kinds of sauna: Caligo Sauna, Olive Tree Sauna, Aromatic Sauna, Water and Fire Sauna and Lady Sauna; the cold water stream, the ice fountain and relaxation areas: the Turquoise Grotto, the Sunset Relax, two Silent Roomsand the Relaxation Veranda with lake view. Nature and Fitness — This area consists of a large gym equipped with Technogym’s ®latest wellness equipment with a fantastic view over Lake Garda.Alongside a fitness studio offers courses and fitness activities. In Silence and among the Stars: Trilogy in the Air — Some of the activities that are an integral part of the Lefay SPA Method treatments take place in the Resort’s large garden, where three trim trails have been created among age-old trees and with a unique view: the running circuit (2 Km), the vita trail with eight stations where exercises to improve tone and muscular elasticity can be carried out and the energy and therapeutic garden, which offers five different stations filled with symbolism and imbued with archetypal meanings. 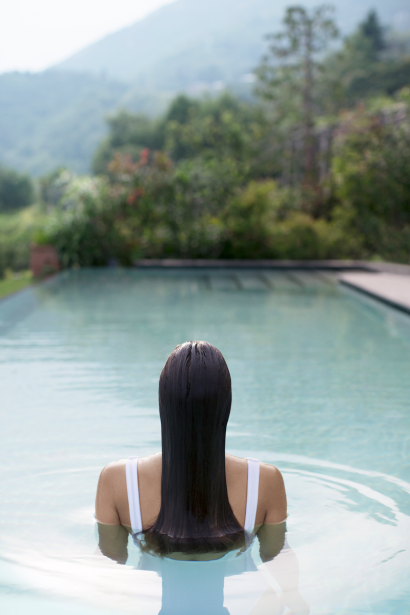 The Lefay SPA Method Scientific Committee has created a wellness method whose objective is to restore balance and fully rejuvenate the body, soul and spirit of Guests through the restoration of vital energy and rediscovery of a healthy and discerning lifestyle. The Lefay SPA Method offers health and beauty programmes that include unique, tailored treatments, such as energetic massages, energizing-constitutional hydrotherapy, physical rebalancing activities, phytotherapy and dietary programmes with various objectives: losing weight, relieving stress, assisting posture, getting into physical shape, treating insomnia and combating the signs of ageing. Lefay SPA offers specialist medical advice and therapies in the context of western medicine, natural medicine, osteopathy and physiotherapy. Besides the Method’s offer, Lefay SPA features a wide range of thalassotherapy treatments, traditional Eastern and Western massages, Thalgo face and body rituals, corrective and professional beauty treatments carried out using the best international cosmetic products, sensual oriental rituals, beauty services, make-up and hair SPA. Featuring a unique position and top quality services, Lefay Resort & SPA Lago di Garda offers the ideal setting for company conferences, team building sessions and high level business meetings. The Resort boasts a brand new meeting centre located in a dedicated area with direct access from the interior and exterior of the complex. The centre offers two rooms of different sizes fully equipped with cutting-edge technology and natural daylight thanks to the floor-to-ceiling windows which offer a splendid lake view. • Golf: The mild climate of the “Riviera dei Limoni” means you can play golf all year round. The Bogliaco Golf Club, the oldest and most spectacular club on Lake Garda, is just a few kilometres from the Lefay Resort. It lies in a slight hollow cloaked in oleanders, laurels, cypresses, olive trees and other typical Mediterranean shrubs 100 metres above the lake, with a superb view out over the lake itself. For Lefay guests we organise a private transfer (a 15-minute drive) to the golf club, discounted green fees and club hire. The club boasts a certified 18 hole, par 69 course and a driving range with 12 covered stands. 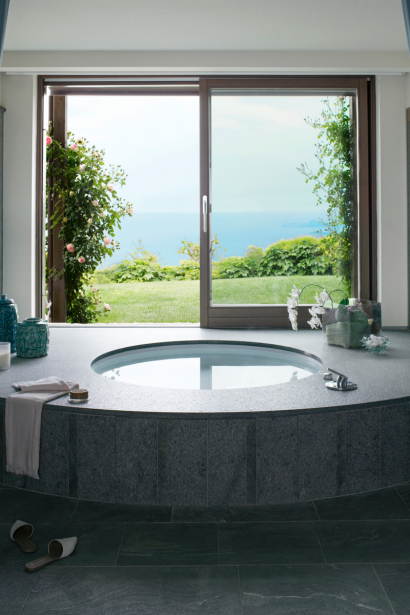 • World SPA & Wellness Award: “Resort Spa of the Year – Western Europe & Scandinavia”. • SPAfinder readers Choice Award: “Country Award” as Favourite SPA in Italy for the third consecutive year. • Small Luxury Hotels of the World Award: “Hotel of the Year” (among 520 hotels in more than 70 countries). All other awards are summarised within this page.